The variety show industry is a place of cut-throat competition. Everyone needs his or her own weapon to survive. Whether it’s an ability to create witty comments or be brutally honest. Everyone needs something that will make him or her stand up above the rest. TVXQ’s Max Changmin jumped into the war early this year. He took on the role of a variety show MC for the first time in KBS’ ‘Moonlight Prince’. After the show was cancelled, he went on to appear in its follow-up, ‘Our Neighborhood’s Master of Variety and Sports’. Max Changmin is gaining popularity for his wit and ‘lacking’ image that doesn’t match his perfect good looks. But this isn’t enough. As ‘Our Neighborhood’s Master of Variety and Sports’ is a sports-based variety show, he has to get physical to stand out. So Max Changmin’s chosen method of survival is ‘practice’. 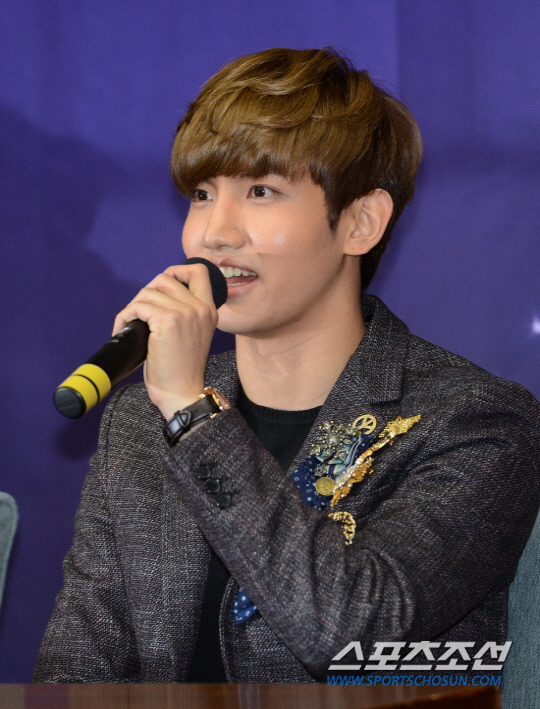 Max Changmin has been visiting bowling alleys whenever he finds the time to during TVXQ’s Japanese tour. When table tennis was chosen for the team, he requested that a table tennis table to be set up for him to use. Although Max Changmin is not as athletic as Jo Dal Hwan, ‘the god of table tennis’, his continuous hard work has resulted in a slow but steady progression, making him someone to look out for in the show. Because of this endless hard work, Max Changmin has been recognized as a force to be reckoned with between ‘The Kings of Variety Shows’ Kang Ho Dong and Lee Soo Geun. Meanwhile, TVXQ recently held a leg of their world tour at the Malawati Indoor Stadium in Kuala Lumpur, Malaysia on the 18th of May and is currently continuing their Five Dome Tour ‘TVXQ LIVE TOUR 2013 ~TIME~’ in Japan, attracting over 850,000 fans.